I’m sure I’m not the only homeschooling mom who has changed curriculum more than once trying to find that perfect fit. There is, however, one program that has been with us since the beginning…All About Learning Press. I first found out about this wonderful program when Liam, my oldest, was in 1st grade. He hated, hated workbooks, so I needed to find some way to teach him phonics and spelling that would keep his attention. 5 years later, and he still loves sitting down with me for spelling lessons! To be honest, I’ve also learned more phonics rules and spelling tricks than I ever learned in elementary school. First, I keep all the teacher’s manuals, student workbooks, and readers in one spot for easy access. Some days I prepare ahead, but honestly most days I don’t have time to do so. The teacher’s manuals are scripted and very easy to follow, so not much extra preparation is needed. That is a HUGE help for me! The readers for AAR have great stories! They’re fun for me to listen to and really help the kids with inflection, etc. And the activities with each story cover reading comprehension, which I love. Another bonus is that only the activity books are consumable. While the start up cost of this AAR and AAS may look daunting, it really gets cheaper as the years go by. For instance, next school year I will purchase AAS level 5, but since I’ve already taught levels 1-4, I don’t have to purchase anything new for my children who are doing those levels. AAR is similar as well. Next year Matthew will be doing AAR level 2. I purchased that last year when Matilda was doing it, so the only thing I need to purchase for Matthew this year is his activity book. Enough about cost, let’s get to the learning aspect! The All About Spelling Student Packets come with word cards, phonics cards, sound cards, and key cards. The key cards are my favorite! These cards contain different phonics rules that I use with my kids like flashcards. The kids really have fun reviewing these. All About Reading comes with phonics cards and word cards. Having to use phonics cards with both AAR and AAS is a big help with having those sounds stick in the kids’ brains! A teacher at our enrichment program even commented how Matilda really knows her phonics. 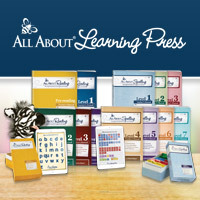 I store all of our cards in handy little boxes that you can purchase from All About Learning Press. These are super sturdy and Liam’s is still kicking after 5 years. Letter tiles! This is our favorite part! Each lesson in AAR and AAS has the children working with letter tiles. In spelling, we go over a concept, then I have the kids spell words using that concept with the tiles. This tactile lesson really helps them remember rules about dividing syllables, identifying types of syllables, identifying letter “teams”, and much more. Teaching reading with the tiles is easy and fun as well. My tiles are currently on an oil drip pan, yes the kind used in cars. But I need to get a larger one to have more work space in the center. I may upgrade to this larger one. And finally sticker charts! So simple, yet so effective! This also helps me remember what lesson each of my children are on. 🙂 Each level in AAR and AAS comes with themed stickers or you can use whatever you have on hand. You can also download the charts straight from All About Learning Press. Today my big boys finished level 4 of AAS. Even though they’re preteens, they were super proud to put that final sticker on their chart! 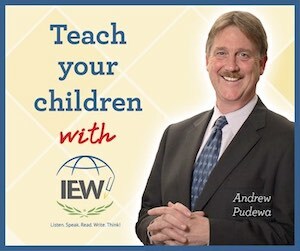 How do I teach 5 kids all of these lessons without getting overwhelmed? First, we do spelling only on Fridays. Each lesson takes about 20 minutes max. I do verbally quiz them through the week, sometimes even at the dinner table, to see what rules they can remember or how to spell a particular word. Also, to save me some time, Liam and Jack do spelling lessons together. Reading is done twice a week. My 4th and 5th graders are above AAR reading levels, so they don’t do it. I use it only for 3rd grade and down. Again these lessons are only about 20 minutes, including the fun activities that go with each one. So between spelling and reading for 5 children, I spend about 2 1/2 hours total per week teaching. While that seems like a short time for teaching reading and spelling, this program is really effective. All of my children are strong readers and spellers, and I really owe it to All About Learning Press! It’s great when you finally find that program that works best for you! Thanks for sharing. Pingback: "Swatting Phonograms" – A Fun Phonogram Activity!